Choose your favorite product from our website. Click "add to cart" you will find your products in your shopping cart. Then click "Check out" to process your payment. Yes, we offer worldwide shipping! We accept major credit / debit cards via PayPal and NO PayPal account is needed for checkout (except for a very few specific countries). 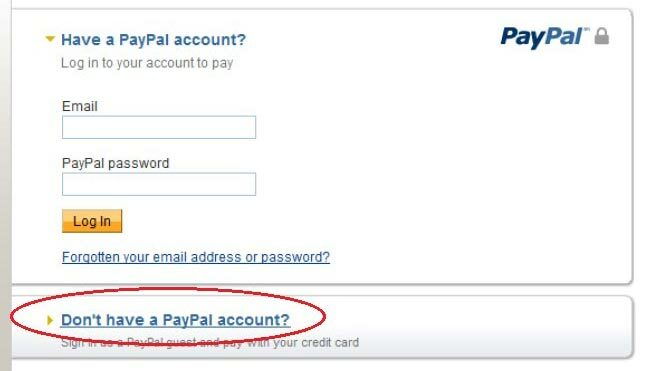 Please choose "Don't have a PayPal account?" upon checkout. Packages are generally dispatched within 3-5 working days after receipt of payment and are shipped via Hong Kong Post with registered mail. Shipping fees include handling and packing fees as well as postage costs. Handling fees are fixed, Hong Kong Post registered mail fee is HK$15.5 . We advise you to group your items in one order. We cannot group two distinct orders placed separately, and shipping fees will apply to each of them. Your package will be dispatched at your own risk, but special care is taken to protect fragile objects. We Offer free shipping if you purchase over HK$300.00 (after discount). Hope you enjoy your shopping experience! You can check your order status by contact us anytime. Simply email us at hello@casetify.com or via contact us within 1 working day. Be sure to include your order reference number. Also let us know the details in email.